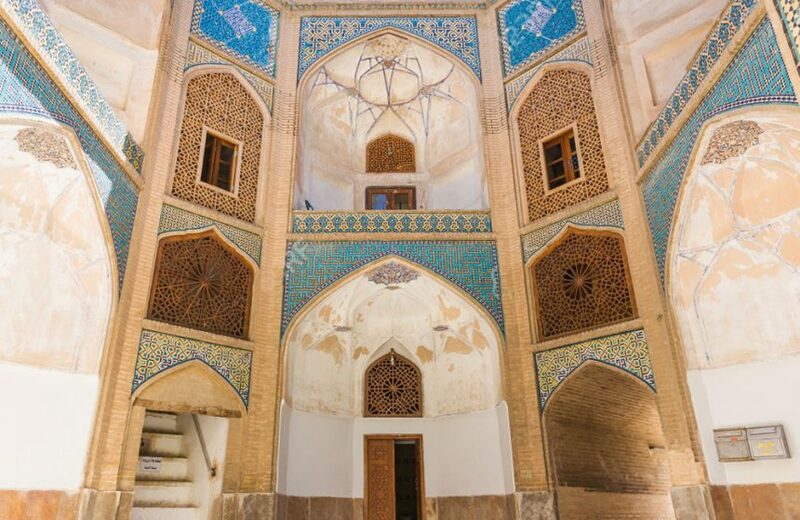 Built almost three hundred years ago, Chahar Bagh School, through its exceptional architecture and world-class displays of fine art, has come to be recognized as one of Isfahan’s top destinations. The entire building of the Chahar Bagh School offers tourists and visitors a dazzling array of extremely detailed tilework. Boasting 5 different tilework techniques, beautiful handcrafted carpentry and a jaw-dropping dome, whose beauty can only be compared to that of Sheikh Lotfollah Mosque! 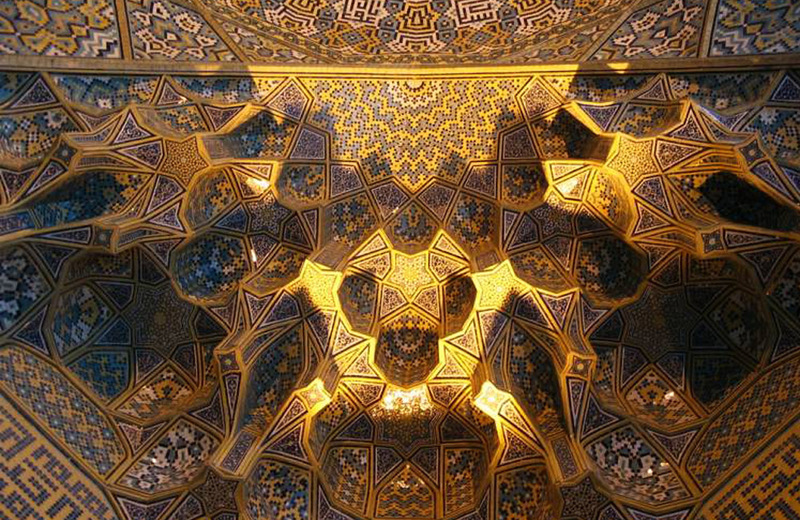 Come along with goingIRAN to learn and discover more about this traditional Iranian destination! The old madrese (school in Persian) was built during the Safavid Empire of the 18th century completed in the year 1706. The ornamentation at Chahar bagh School was intricate that it was completed in 1714, 8 years after the building itself! Being one of Isfahan’s greatest landmarks, it is considered to be the last major construction of the Safavid Era. Aside from ‘Chahar Bagh School’, it goes by a couple of other names: ‘Madrese Soltani’ (Soltani School) and ‘Madrese Madar Shah’ (Shah’s Mother School). ‘Chahar Baghe School’ is the name it got because of the fact that it is located on Chahar Bagh Street, in Isfahan. The name ‘Soltani School’ is due to the fact that it was built during the reign of Shah Soltan Hossein. Finally, the name ‘Shah’s Mother School’ comes from the history of how Shah Soltan Hossein’s mother had a caravanserai, bazaar and other economic facets built around Chahar Bagh School as a means of raising the needed funds to keep it afloat! The precious facility was built for the teachers, students and clerical members of religious studies. Up until the attack of the Afghani invaders, Chahar Bagh School was home to a tremendously valuable and rare library. It was filled with a vast collection of authentic ancient religious books and texts. Unfortunately, all was destroyed during the invasion. No other site or attraction in Isfahan has captivated as many visitors and tourists as Chahar Bagh School. Indeed it can be very well considered as one of the top destinations in Isfahan. Chahar Bagh School has a lot to offer in the form of eye candy. So much so, that due to the vast amount of tilework in their various styles, it is known as ‘Isfahan’s Museum of Tilework’. Haft rang (seven-color), moaragh (mosaic), gere chini (Chinese knot), pili and moalaghi are the variety of tilework techniques used all over the beautiful school. Alongside the phenomenal turquoise tiles, the lush ornamented dome is covered in intricate bright yellow tiles, beautifully complimenting the turquoise colors. From the perspective of architectural integrity and beauty, the dome of Madrese Chahar Bagh stands as the only successor to the one at the extraordinary Sheikh Lotfollah Mosque. In the eyes of the same critics of its structural integrity and beauty, however, its mighty entrance ranks number one. The big burly doors are meticulously decorated in traditional Persian patterns with precious metals in gold and silversmith etching techniques. Crafted with such an enormous amount of skill, precise detail and flowing beauty that it stands to be one of this entire complex’s most talked about features! Chahar Bagh School’s entrance-portal façade is decorated with tiny finely detailed tiles along with graciously crafted muqarnas (detailed ornamented vaulting). Breathtaking blue and turquoise tiles frame the entrance and cover almost entire façade of the building! Also located on either side of the entrance door, are two beautiful marble platforms that are the starting point of wonderful Persian poem reliefs that are written in traditional Nastaliq. Beyond the doors, a four iwan (balconies) courtyard faces the mighty entrance way that presents two stories, comprised of 17 ornamented arcades. The rooms constructed on the two floors of this building were residences of the students of the religious studies. Most of these abodes consist of a similar floorplan and design. Finely detailed handcrafted wooden windows also reveal beautifully blissful views of the outside garden. Aside from the student dormitories, the king’s room is also known as an exceptional part of the facility. Adorned with significantly beautiful tilework and decorations all around, it is the definition of a truly majestic site! The courtyard of the school is recognized as an indigenous introverted-style design. The rooms along all four of the ivan face a refreshingly lush garden filled with trees and flowers. A narrow stream runs along the feet of the tall trees, which goes by the name of Farshadi Stream, is a branch of water connected to the great Zayanderud. The interior is comprised of hallways, inner yard, dome, minarets and arcades. The most beautiful part of the entire interior is said to be the hall of the entranceway. 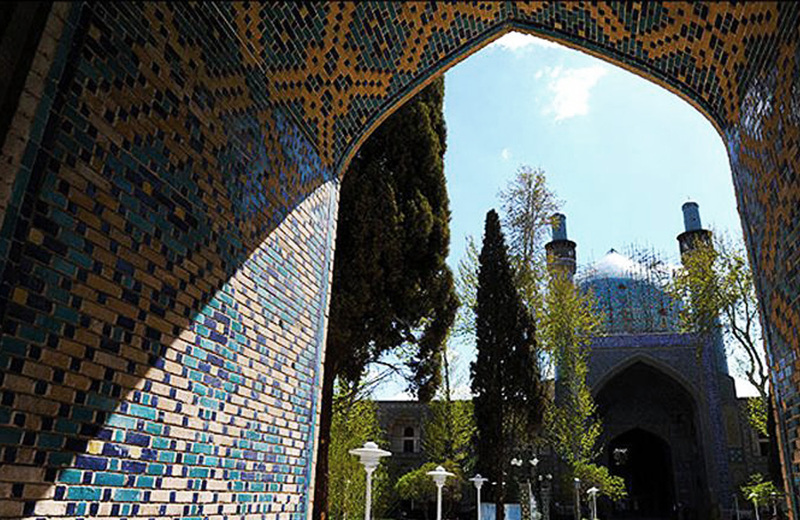 Connected to the eastern wing of the school dormitories, is the shabestan; leading visitors through a beautiful wood-carved door to an area under the mosque’s dome where there are three alters. In the mosque, which is accompanied by the two tall minarets on the outside, are a stunning ensemble of Mihrab and Minbar which are made from solid high-grade marble. All throughout this building one can find many examples are extremely fine crafted stone carvings and traditional handwriting techniques. Gorgeously written scriptures from ancient texts cover the walls of the interior walls of the school! Also attached to the school complex is the caravanserai, built by the Shah’s mother. For the past three centuries, it has been most attractive accommodation for travelers visiting Isfahan. As of recent years, it has been converted into the Abbasi Guesthouse. An accommodation that ranks among the highest quality international hotels and provides an exceptionally extraordinary experience for travelers! If you’re truly keen about learning more about Iran’s culture, getting here at the right time may be a deal breaker! Being located in the center of Iran, visitors of Isfahan enjoy nice steady weather almost all year round. The street address is: Madrese Chahar Bagh, Chahar Bagh Abbasi Street, Isfahan (Postal code 81464). It is located just a couple of blocks north of Si-O-Seh Pol and is near Hasht Behesht Palace and Chehel Sotoun.